Elegant contemporary modern chromed steel bar cart with glass shelves. 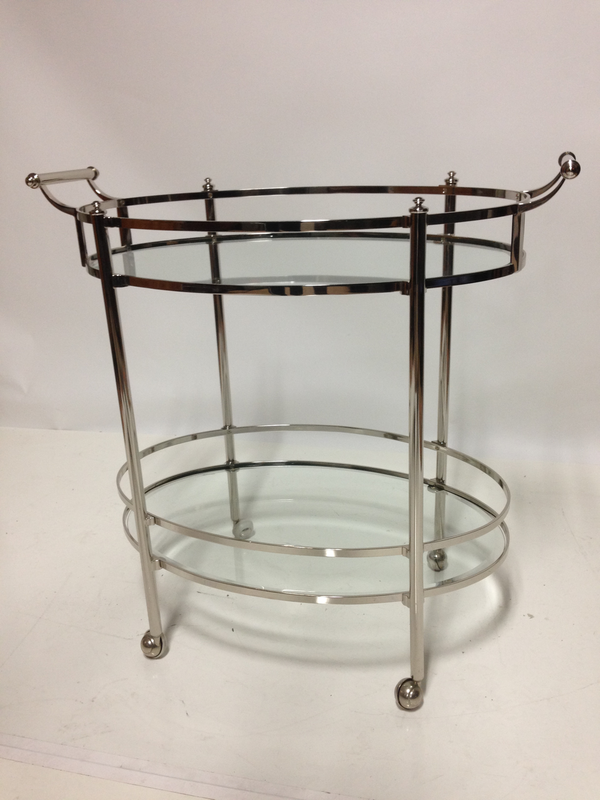 Two tier oval frame with handles on each end and castors for easy moving. Both glass shelves have inch wide bevel. Very sturdy & well built. Condition excellent.